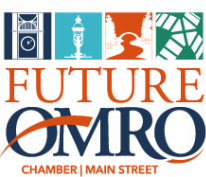 Future Omro Chamber-Main Street has valuable benefits and an array of services to help your business grow. As a non-profit business advocate, the Chamber-Main Street program makes important things happen like new laws and regulation notices, retaining and recruiting businesses to the city, being your representative, providing marketing assistance, business networking opportunities, and helping drive tourism to Omro. Partnership in Future Omro can help you save money through the our discount programs. A variety of discount programs and opportunities have been established to supplement your company's benefit package while minimizing expenses. Joint Advertising- Reduced rates on joint advertising opportunities. Berlin Journal/Omro Herald/The Billboard- Receive a discount on advertising in area newspapers (click here for details). One FREE $100 ad for NEW members! If you have questions, call Kristian at 920.685.2707. CommUNITY Connection Newsletter- Get messages out in the CommUNITY Connection newsletter email. This is a $100+ value. Mailing List- Request the Omro Partnership mailing list. This is a $100+ value. Welcome Bags- Promotional opportunity to have your business featured in free bags distributed to new residents. This is a $100+ value. Printing/Laminating/Cutting/Mailing Stuffing- Reduced rates on a variety of services. Compassion Grant- Funds available exclusively for our Future Omro partners in the time of need. Future Omro Gift Certificates- Your business added to certificate list and redeemable at your business (more people in your door). Facebook- Get your messages out using social media, Future Omro has over 600 followers. This is a $100+ value. Referrals- We get asked where do I go for... all the time. Get referrals to new residents, visitors and question seekers through Future Omro. Billboards- Affordable rates on billboards located on highway 21 with 10,000+ traffic count per day (east/west as people enter/exit). Plus, members get a deeper discount! Directory Listing- Get added to the only city-wide directory on-line. ...and these are just some benefits! For more information contact Stephanie Hawkins at shawkins@omro-wi.com or call 920.685.7005 ex.22 and get started today.